Classified as high performance fire survival cables manufactured by Draka and designed to maintain it function in the event of fire. There is two type of firetuf cables. One is Firetuf Data Cable and the other one is Firetuf Coaxial cables. High performance fire survival data cables manufactured by Draka and design to continue functioning even in the event of a fire. 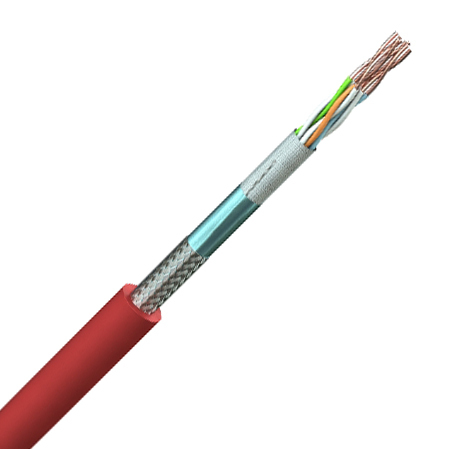 The twisted pair cables provide high data transmission rates and have been developed to mimic Cat-5 cabling as closely as possible. Its popularity is increase with system integrators for BMS applications, the cables can be terminated using traditional LAN Insulation Displacement Connectors (IDC) making them ideal for use in horizontal backbone wiring systems in offices and public buildings. High performance fire survival data cables manufactured by Draka and design to continue functioning even in the event of a fire. Video is carried the coax performs in a similar way to RG59 which is widely used in the CCTV sector. This allows continued monitoring of fire exits and evacuation routes in the event of a fire.